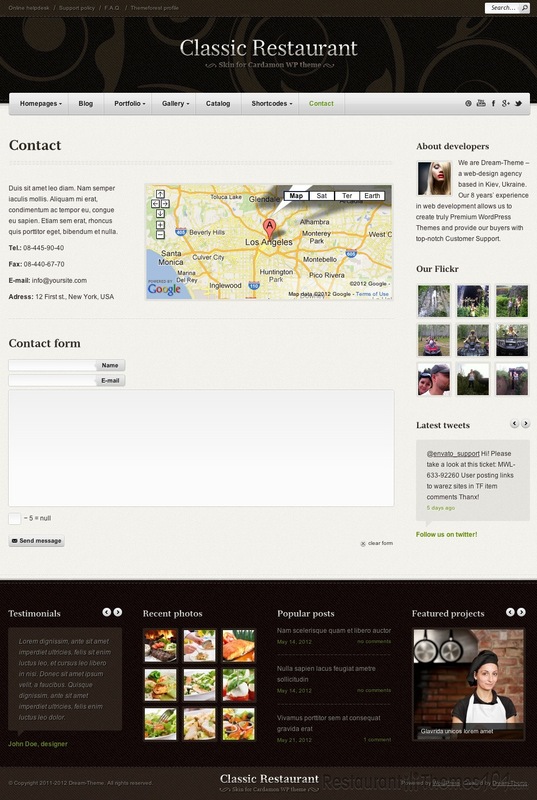 Cardamon is a simple, straightforward restaurant theme for WordPress, but it could easily be used for a doctor’s office, cafe, service business, or a number of other things. The design of the theme is ambiguous and could be used for a variety of applications, plus, the 10 built-in skins make it a breeze to change up the appearance of your site. Plus, included in the purchase of this theme are all the skins that are to be released in the future, so you will keep getting fresh content and skins for as long as you use the theme. The basic design is fairly simple, but it does its job by drawing in the reader’s focus onto what’s important – your contact information, pictures, menus, etc. 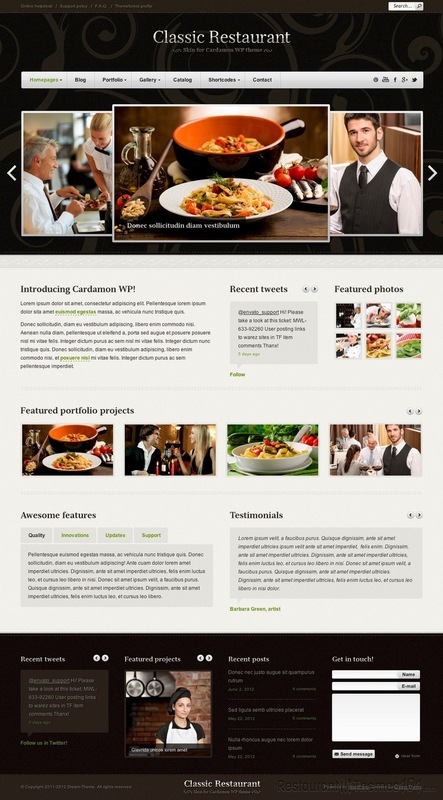 One of the most important features of this restaurant theme for WordPress is the revolutionary layout builder that comes already installed with the purchase of this theme. This builder eliminates the need for shortcodes and hard coding, and makes it easy to change and develop layouts through a WYSIWYG editor (what you see is what you get). You can easily modify the layout of your site to fit your liking within minutes, without any previous web development knowledge. This theme is developed by DreamTheme and available for purchase at ThemeForest. It comes with the full-layered PSD files, which can be used to make changes to the theme’s appearance for those familiar with Photoshop. Cardamon is also cross-browser compatible, meaning it will work great on Firefox, Internet Explorer, Chrome, Safari and Opera – you will never get complaints of a broken link or a page not loading with this theme. Lastly, the theme is widget-ready, making it a breeze to add extra functionality and style to your website, without having to code anything yourself!